There's something magical that happens when it becomes fall. 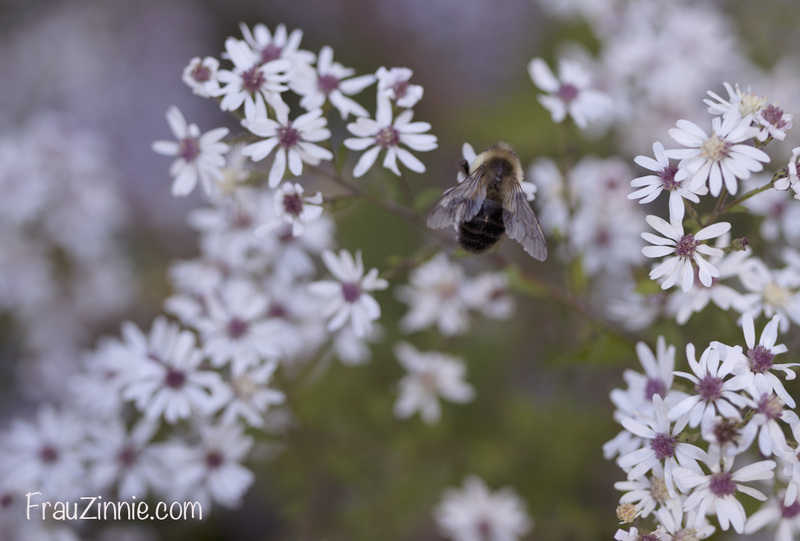 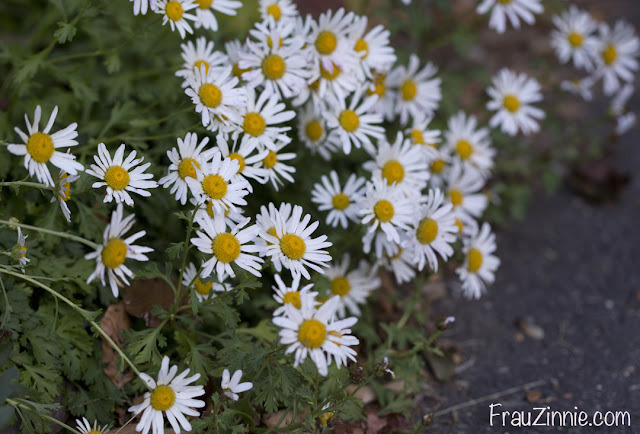 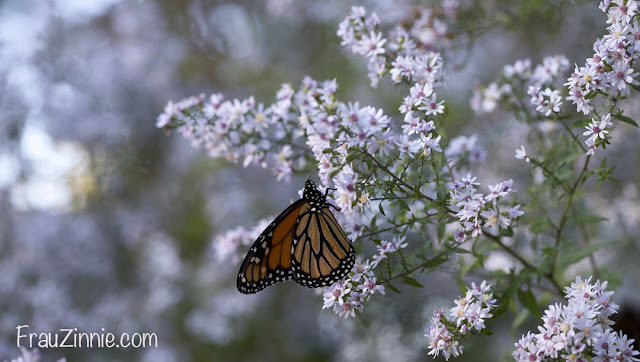 Suddenly, the heart leaved aster, which was obnoxiously crowding out my other perennials and looking weedy all summer, transforms into white clouds that the pollinators can't get enough of. 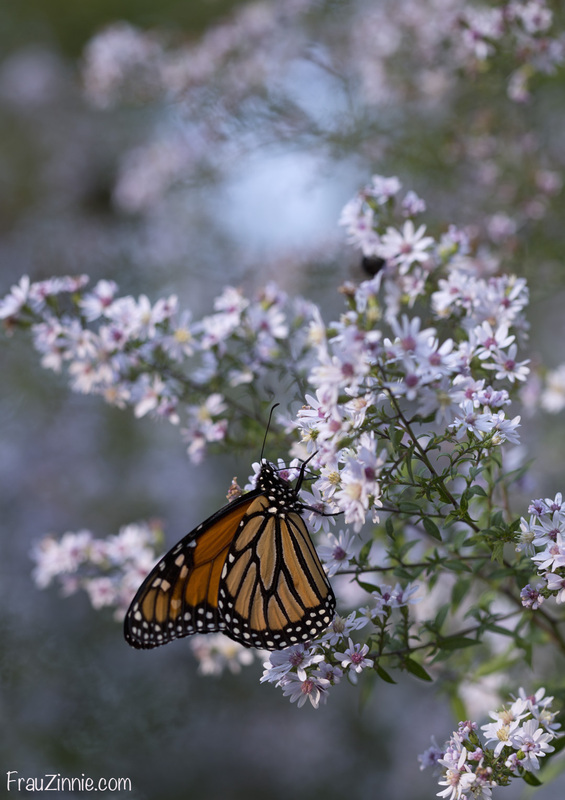 And suddenly, all that bad behavior from earlier in the growing year is forgiven. 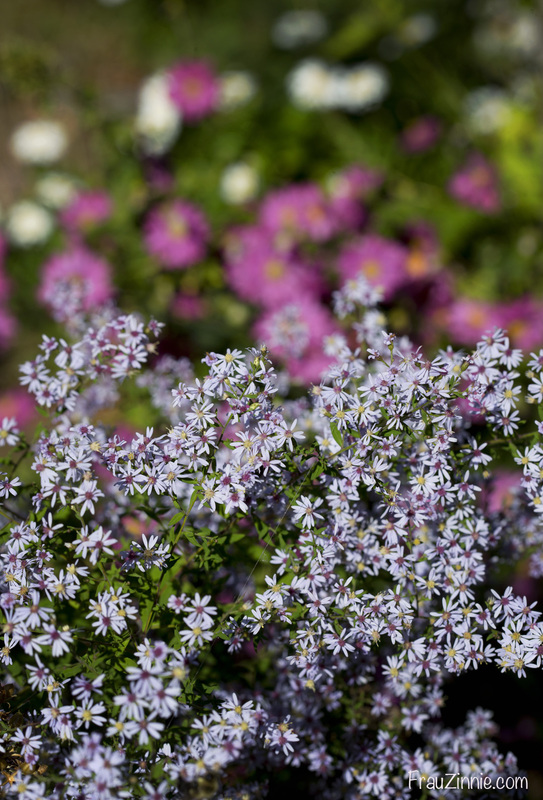 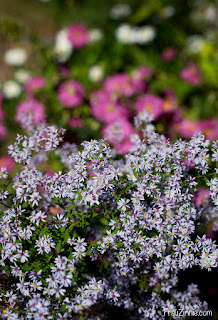 It is definitely aster season in the front garden, and my New England asters, which I have divided several times from the first plant, provide dots of purple across the landscape. Here, the late-blooming anemone and heart leaved aster glow in the late afternoon sun. 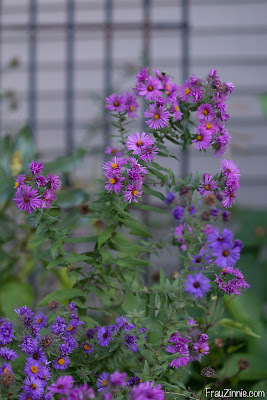 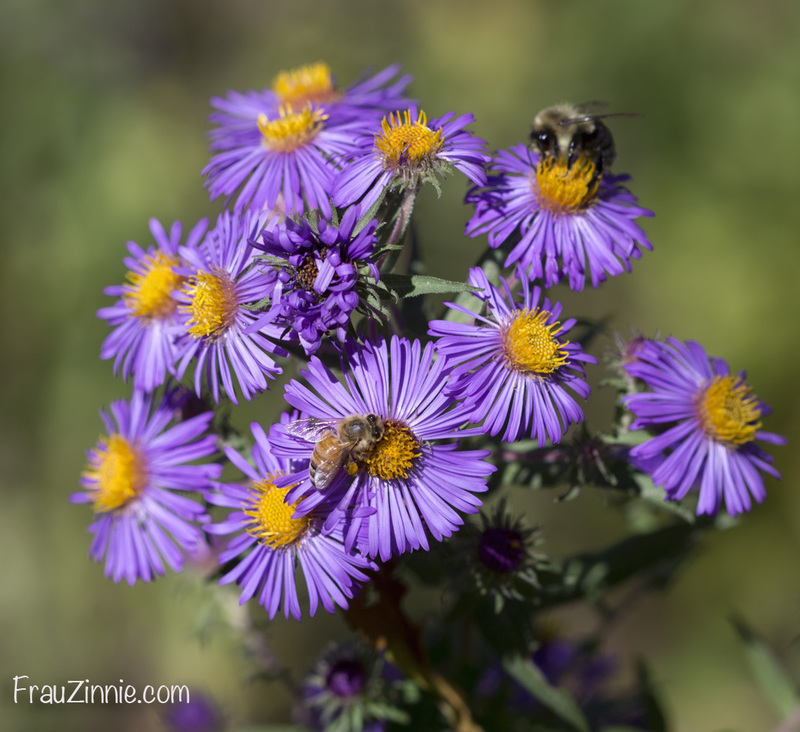 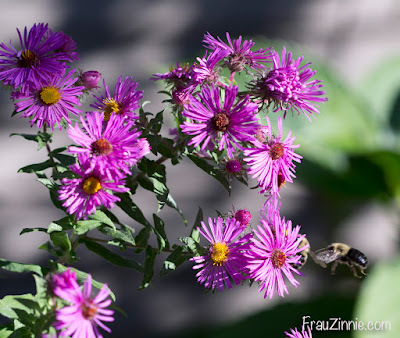 Pink and purple New England asters compete for bees. 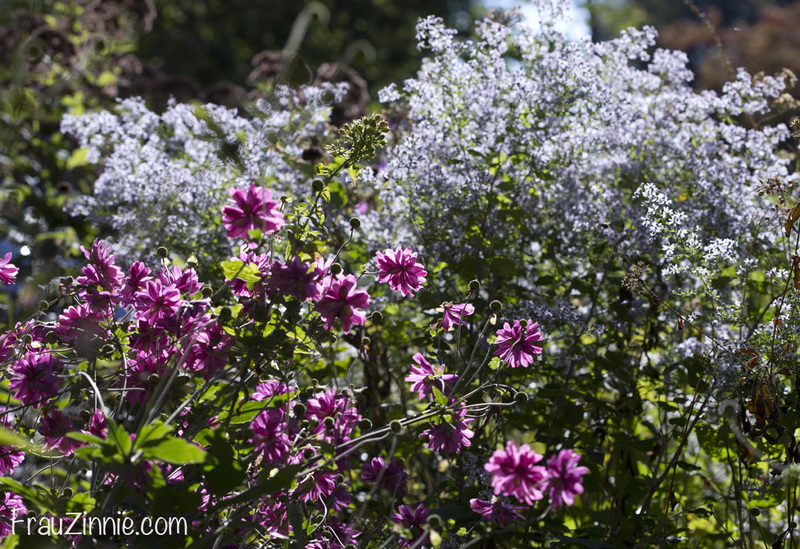 The low-growing Dendranthema morifolium 'Lucie's Pink' creeps slowly along either side of the entrance to the garden along my driveway. 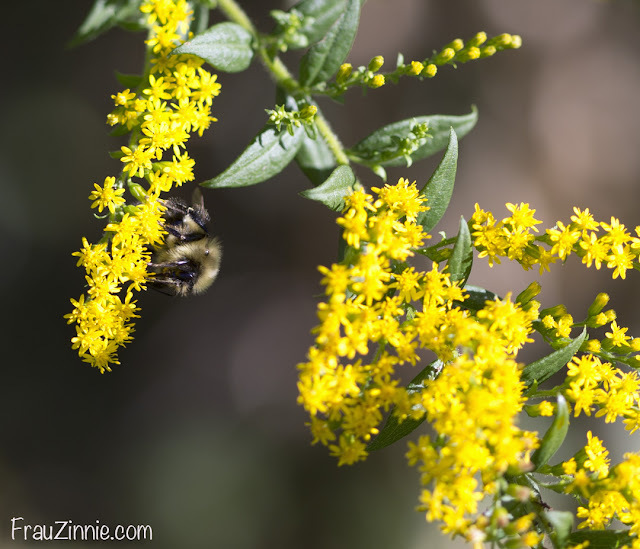 Here and there, goldenrod appears in the garden. 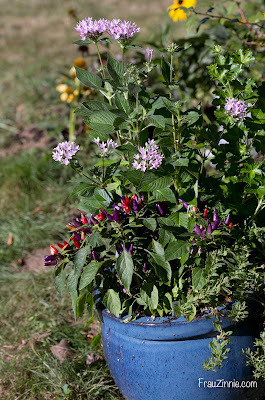 In the past I had accidentally pulled this important nectar source because it looked weedy in early summer. Now I try to leave it when it appears. 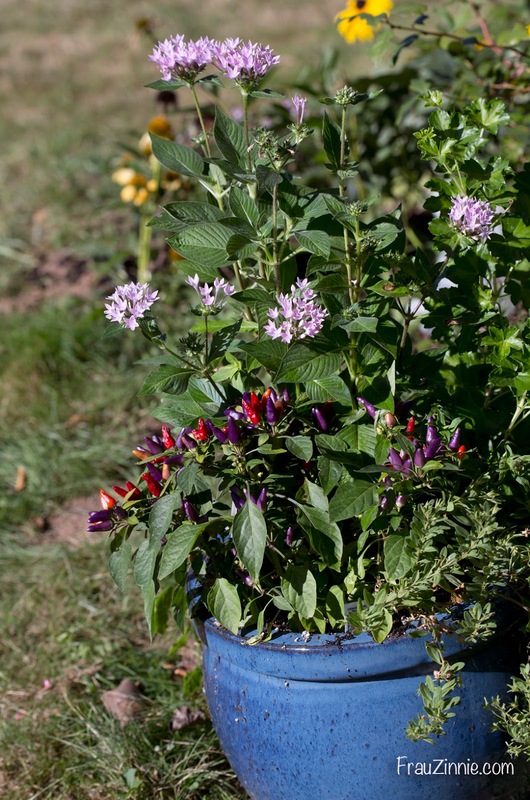 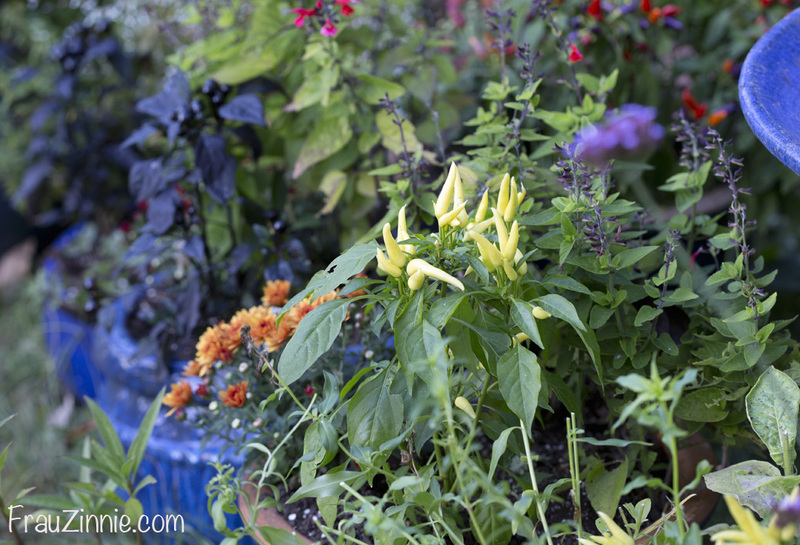 As for my containers, they have been refreshed with miniature mums and ornamental peppers, such as this 'Chilly Chili' ornamental pepper, also an AAS Winner. 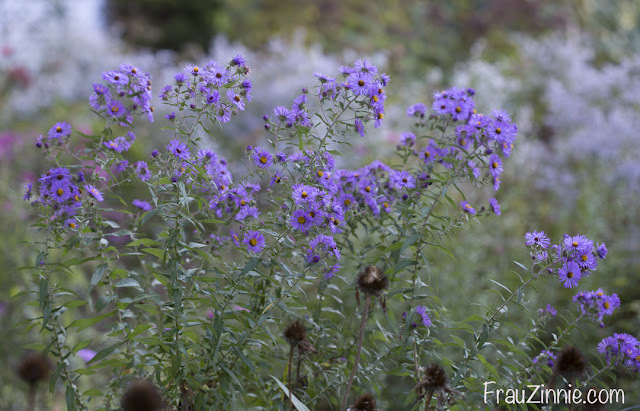 Many of my perennials are going to seed, and I'm leaving my echinacea seed heads up for the finches and scattering my columbine seeds along the back garden for next year. 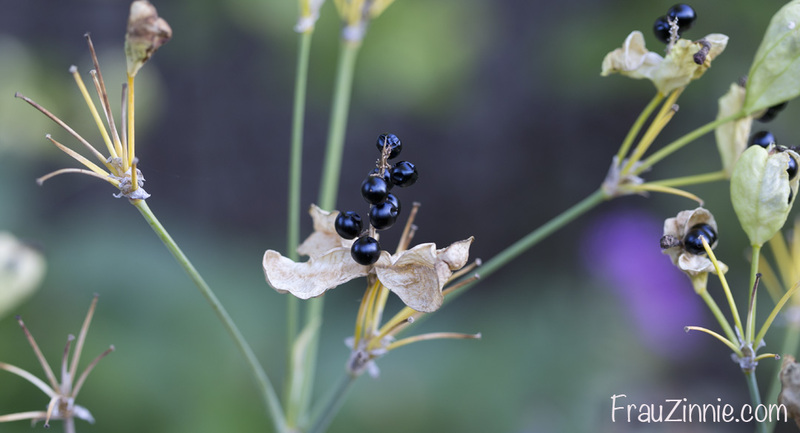 The blackberry lily is putting on its second show, this time with its pretty seed pods, and I'm undecided if I should bring them indoors to grow over winter, and leave them outside as I would milkweed.